An agenda of local best hits to spend a week in Baltic countries. Full of authentic and memorable details. This tour is about you getting to know Baltic countries: biggest cities and get a grip on history, culture and nature. There is so much to see and to feel in here! You’ll start in Vilnius – marvelous historical city with 48 churches, green parks and cozy Old Town’s streets. Keep in mind all red roofs of Vilnius because these roofs will be the first recognizable thing in Riga. Some say Vilnius and Riga are quite similar, others deny this – well, you will get the chance to compare it by yourself. 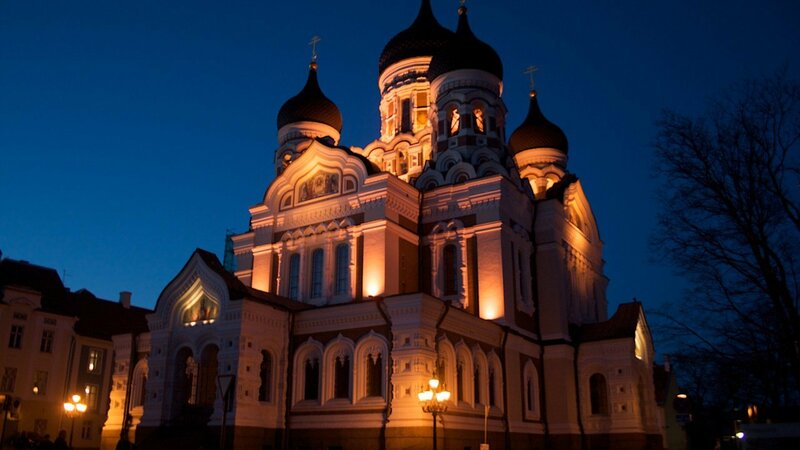 Your last stop on this beautiful journey – charming Tallinn with all secrets, stories and legends about it. 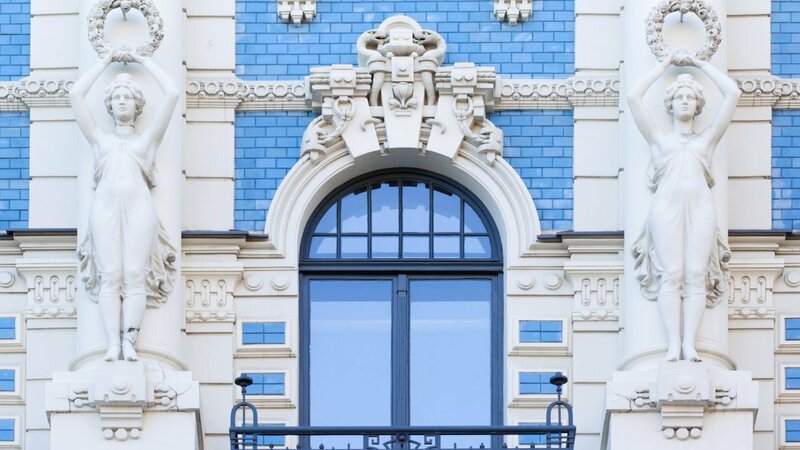 Take this tour and find your favorite Baltic country! Visit Vilnius, Riga and Tallinn Old Towns – 3 UNESCO World heritage sites in one trip! Spend a night at the luxury forest cabin and enjoy the hospitality of locals. Enjoy hearty local homemade breakfast and dinner. Taste local flavours and specialties at the food market in Vilnius. 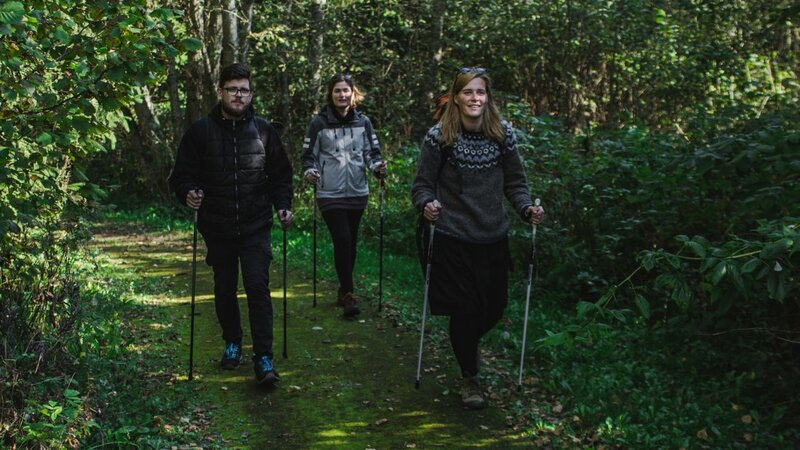 Explore nature in Gauja National Park. Visit the holy site of Hill of Crosses. 6 nights in Hotel 3*. 1 night in a forest cabin near Vilnius. 1 homemade breakfast and dinner at the forest cabin. Transportation with a comfortable minivan to all locations as per itinerary. English speaking guide/tourleader during all the trip. Welcome meeting with a drink on your arrival. Lithuanian food tasting at Hales market in Vilnius. Itinerary and places according to the program. Entrances to Trakai castle, Rundale Palace and Turaida museum reserve. Arrival in Vilnius, optional transfer to your hotel, check-in, welcome meeting with a guide. Overnight in Vilnius 3* Hotel in Vilnius. 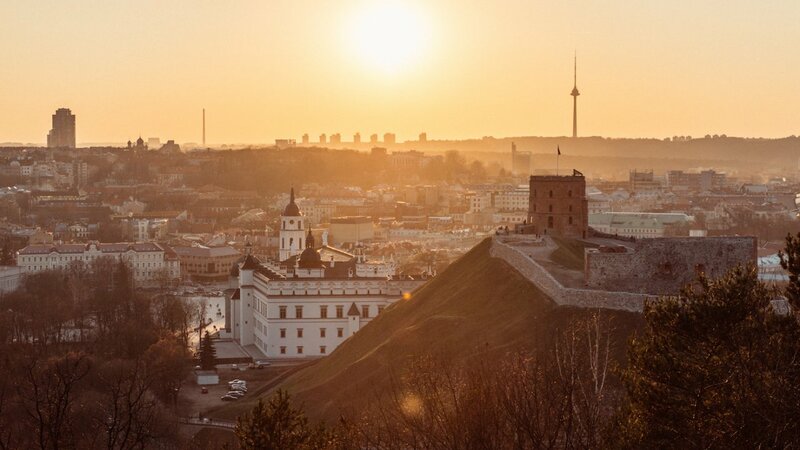 After breakfast – morning sightseeing tour will introduce you to Vilnius. Vilnius is known for its more than 1.200 medieval buildings and 48 churches. Walking tour (2,5-3 hours) includes visiting of the Old Town with Vilnius Cathedral, Gediminas Tower, St. Anne’s Church, Old University, the Gates of Dawn, Uzupis district which is known as the independent republic of Vilnius city. 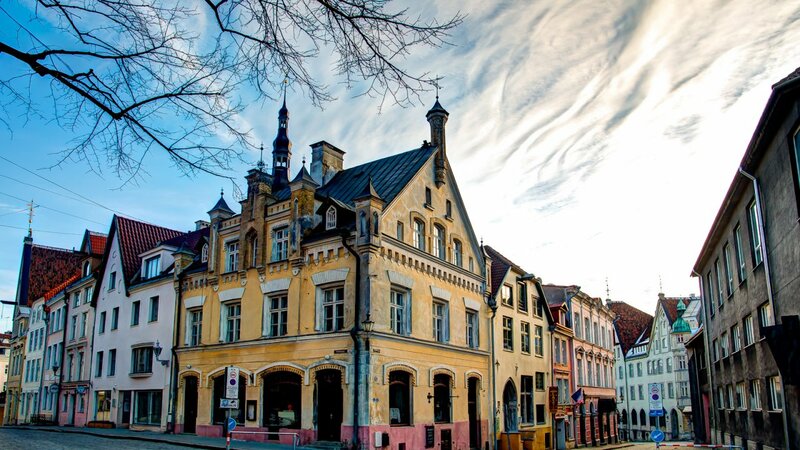 After the sightseeing, the guide will lead you to the famous and oldest Vilnius food market – Hales market where you will have an opportunity to meet local food producers and sellers, ask them questions and bring home the real flavour of Lithuania. You will visit 4 or 5 different places and try the best taste of Lithuanian handcrafted cheese, rustic meat products, bagels and juice. Keep in mind, all products are created according to authentic recipes and tastes cherished by Lithuanian farmers. An experience takes around 1-1,5 hours. In the evening enjoy an optional historical Lithuanian dinner at Restaurant Ertlio namas. Overnight in 3* hotel in Vilnius. After breakfast we will drive to Trakai town - historic, picturesque place with a castle in a middle of the lake. Locals take a day trip there and we invite you for one as well. 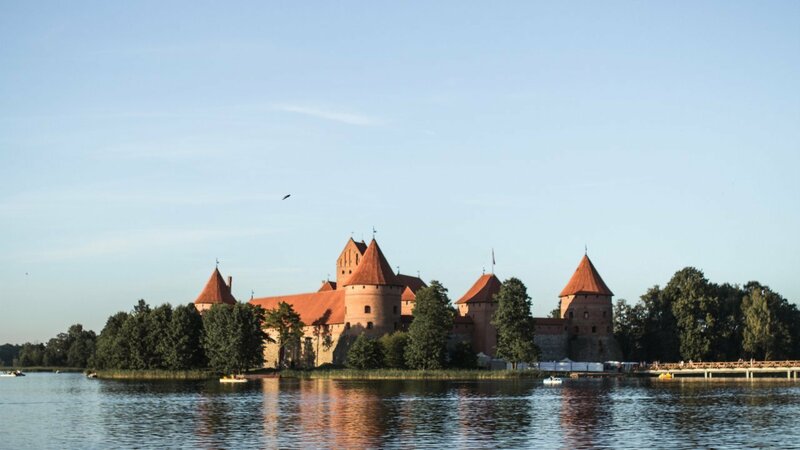 See Trakai Castle, lakes and beautiful views around. For lunch (OPTIONAL) try out special Karaim dish ‘kibinai’ which is only typical for Trakai town because it is a home for the oldest ethnic group of Karaims living to this day in Lithuania. Trakai trip takes around 3.5-4 hours including lunch break. After visiting Trakai we will go to your local home stay or forest stay. Evening is free for you to decide whether to stay cosy inside the house or take a walk in the surroundings, explore the forest and discover a hidden bog. Bog is a unique, natural and untouched nature around us with lots of undiscovered beautiful plants. Bog walk will take around 1 hour. After the walk coming back to your local stay will be even more pleasurable as the warm dinner will be waiting for you. After the long day sightseeing you will be able to use a sauna (OPTIONAL) to warm up and refresh yourself. Overnight in a forest cabbin near Trakai. Please note that in the forest cabbin bathroom may be shared between few rooms. After breakfast at the homestay (forest stay) we will drive to Riga. On our way will stop at the Hill of Crosses, one of the most holy sites of Catholic Lithuania. The exact number of crosses is unknown, but estimates put it at about 100.000. The tour will last up to 1 hour. After crossing into Latvia we soon reach the magnificent Rundale Palace, our second stop. The former summer residence of the Duke of Courland. Following a guided tour (2 hours) of the palace we travel through the rolling hills of Southern Latvia to reach Riga late afternoon. Evening at your leisure in the capital of Latvia. Overnight in 3* Hotel in Riga. Driving 5 hours (410 km). Founded in 1201 by the German bishop Albert, Riga is the largest of the three Baltic capitals and boasts a true kaleidoscope of various architectural styles. 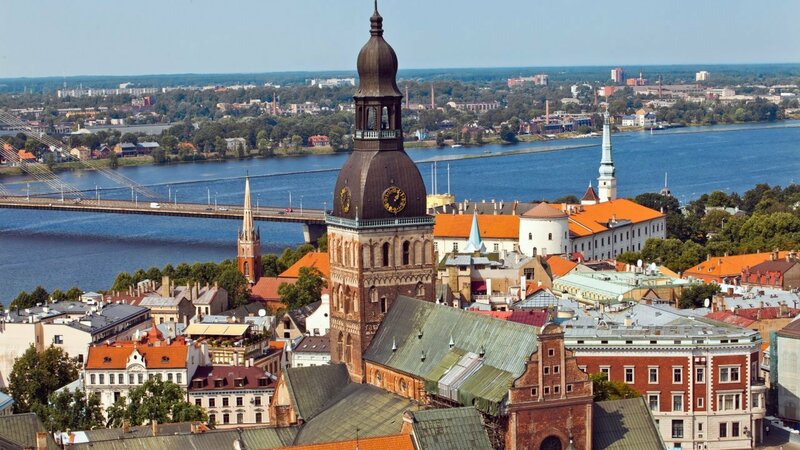 The walking tour (2 hours) of the Old Town includes Riga Castle, Dome Cathedral, St. Peter’s Church, Swedish Gates, Three Brothers, Large and Small Guild House and the Freedom Monument. The afternoon is reserved for an optional visit to Jurmala and a picturesque Kemeri bog (4-5 hours), Jurmala is the vibrant Latvian sea resort, famous for its wooden architecture and sandy beaches, while Kemeri bog is a real gem for nature lovers with it’s undersized pine trees, deep pools, tiny dark lakes and the flavour of wild rosemary. Optional dinner in Riga Restaurant Forest. After breakfast we will go to Tallinn with a stop in Gauja National Park, the largest national park in Latvia. The guide takes you to the stunning scenery of the Gauja river valley around the town of Sigulda. You will visit Gutman’s Ala, the largest sandstone cave in the Baltic states where you will hear the medieval Latvian legend of the Rose of Turaida which will lead you to explore the ruins of the Turaida Castle and the Museum Reserve. We will have guided walking tour in the park and the castle (1.5- 2 hours). After the stop we will continue our trip to Tallinn which we reach in the late afternoon. Overnight in 3* Hotel in Tallinn. Walking tour 1.5 - 2 hours. Driving 5.5 hour (360 km). Tallinn is a charming blend of medieval tranquility and modern urban life. The medieval Old Town is a busy place in the summer with its many shops, galleries, souvenir markets, outdoor cafés and restaurants. The sightseeing tour (2-2.5 hours) takes us around the old medieval city walls and into the Old Town where we see Toompea Castle, Dome Church, Alexander Nevsky Cathedral, medieval Old Town Hall and Great Guild Hall. 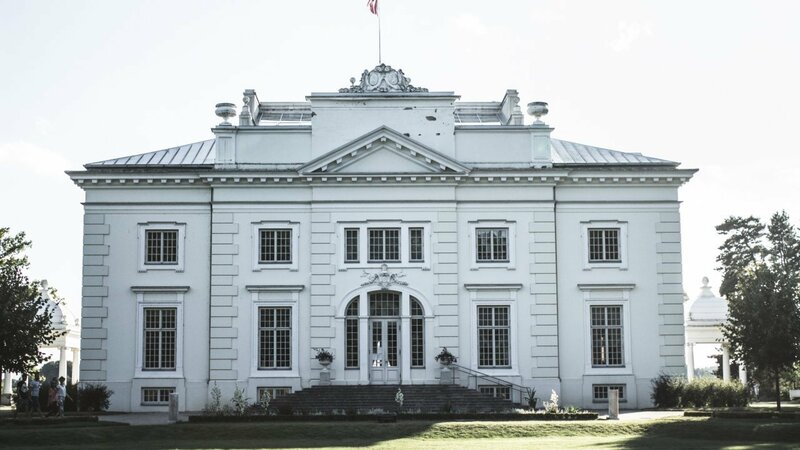 In the afternoon an optional excursion (3 hours) is offered to Kadriorg Park and visit to KUMU, the award-winning new Estonian Art museum, with its collections of classic and contemporary fine art. Goodbye and hope to see you in future! Plane tickets to and from the Baltic states. Other meals during the trip. Entrance to museums and attractions not mentioned in the itinerary. Min 2 persons required to book. Price starts from 1150 EUR per person. Optional transfer to the airport - car 1-3 persons - 35 EUR per car. Optional transfer to the airport - minivan 1-8 persons - 55 EUR per car. Optional dinner in Vilnius 6 course Lithuanian historical dinner – 40 EUR per person. Optional Sauna in a homestay – 120 EUR per group. Optional Latvian dinner at the stylish Restaurant Forest – 40 EUR per person. Optional trip to Jurmala and Kemeri bog (4-5 hour excursion) – 50 EUR per person. Optional trip to Kadriorg Park and visit to KUMU (3 hour excursion) – 50 EUR per person.